Are you an ardent football fan? Do you have a passion for football? Do you have friends that are football fans? Do you want to make money out of your passion for football? Then this is an opportunity for you and a great business plan on how to start a football viewing center. 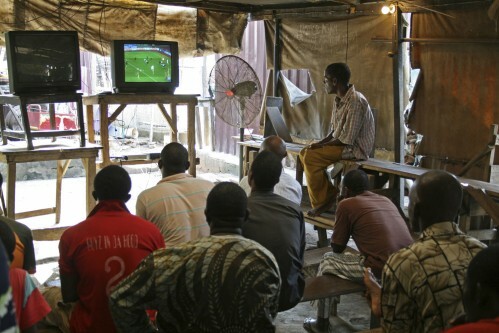 In this article, we will be considering the Nigerian market as a case study because this is a country where the football viewing center business holds a huge potential profit. If you reside in countries such as Ghana, Uganda, Kenya, South Africa, Zimbabwe, China, India, Philippines, etc; you can also benefit from this, because the economic conditions or cultural perception and the business environment of the aforementioned countries are similar to that of Nigeria. It must be emphasized at this point that this business can be profitable even in any location, all you need is a touch of entertainment and creativity; and gbam, the money would follow. Nigerians love soccer. Not just Nigerians but Africans and the world in general. We love the blues, gunners and so many others. We wish we could be present in some of these football matches, but as much as we like football, most people still cannot afford to buy a DSTV or subscribe to a cable network Television. This problem of inability to personally afford the cable TV has actually created the market opportunities for smart entrepreneurs. It’s a problem most Nigerians can’t deal with. And that’s where the real money is. 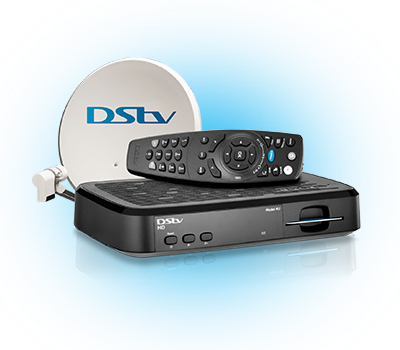 In Nigeria, we have access to cable networks such as DSTV, Strong, MyTV, HiTV, CTL, DaarSat, StarTimes, GOTV, etc. 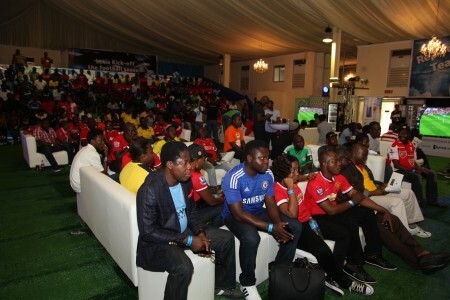 Just imagine you own a football viewing center that has a sitting capacity of 500 and for each football match, your customers pay betweenN50 – N100 per match Multiply that 500 by 50 0r 100; and you will have a whopping N25,000 – N50,000 per match (approx. $320)! Isn’t that a good small scale business? That is a cool inflow of cash. Now, are you interested in starting a football viewing center? Do you know that with a well established football viewing business, you can generate a monthly profit of at least N400,000 (approx. $3,000)? You may be skeptical or think I am exaggerating, but that’s the truth especially in our environment where majority of Nigerian are ardent football fans. “For Nigeria’s game, I made over N120,000 from tickets, food and drinks because people came with their friends, relatives and even children to watch the Super Eagles. A wood bench to save start up costs. Plastic chairs are prone to damage in celeberation mood. standing fans, ceiling fans or air conditioner, Air freshener, A good generator and possibly a UPS in case of power outage to keep the TV running Cable TV or DSTV dish with monthly subscription, Two big Television set with high resolution or projectors Bulbs , Extension sockets ,A refrigerator just in case you want to add an extra income stream by selling cold soft drinks, A printed ticket or coupons to identifying paying customers. Get a good location; a location or building that has enough room for expansion. If it’s an open space like a football field, then you may need to get a carpenter to form a tent shed using zinc; and ensure that the structure is wide enough to contain a good number of people (say 100 to 300 sitting capacity). You should learn to think big and start small, while not despising the days of little beginning. If you are on a low budget, the next thing to do is to get a carpenter to make wood benches for you as it minimizes start up costs and contains a lot more people. But if you have enough capital, you can opt for single plastic chairs as they are more comfortable. You must also ensure that the room or building is properly ventilated; so as to make your customers feel comfortable. If they don’t feel comfortable watching football matches in your viewing center, then there’s a high chance they will patronize your competitors. a. Get a blackboard or notice board outside your football center to write out all upcoming matches for the day. b. If you have more capital and you want to make your viewing center top-notch, you can employ cooks to sell pepper soup, small chops, recharge card vouchers, and cold drinks. You could even sell these things yourself. 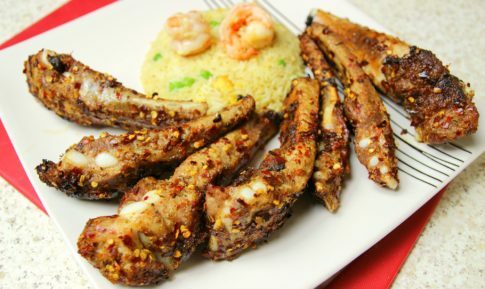 If you are married, or a good cook, you could set up a pepper soup joint beside your viewing center. c. Another strategy to stay at the top of your game is by offering bonanzas or produce T-shirts with the name of your viewing centers printed on it. Be smart and creative. There’s so much money to be made in this business! d. Treat your customers with respect. Customers are the backbone of every business! Be friendly to your customers. They are the sole reason you are still in business. Treat them with respect, and endeavour to build personal relationships with them. On a final note, if you are currently unemployed, you could try out this business. It doesn’t require much capital to start and it’s very easy to manage, if you know what you are doing, the sky will be your starting point; and soaring higher will be a necessity as you become employer of Labours. Life coach and passionate about youth development. Nice post! Thumbs up for that! But you need to make your blog more mobile responsive… Well done! Thank you for your feedback. We are currently working on making our blog more mobile friendly.